It will be no surprise to anyone here that I have a sweet tooth. Consequentially I usually have a jar of something naughty to put on toast, rarely jam (unless it was home made), more often peanut butter, biscuit spread or chocolate spread, ie something bad for me. 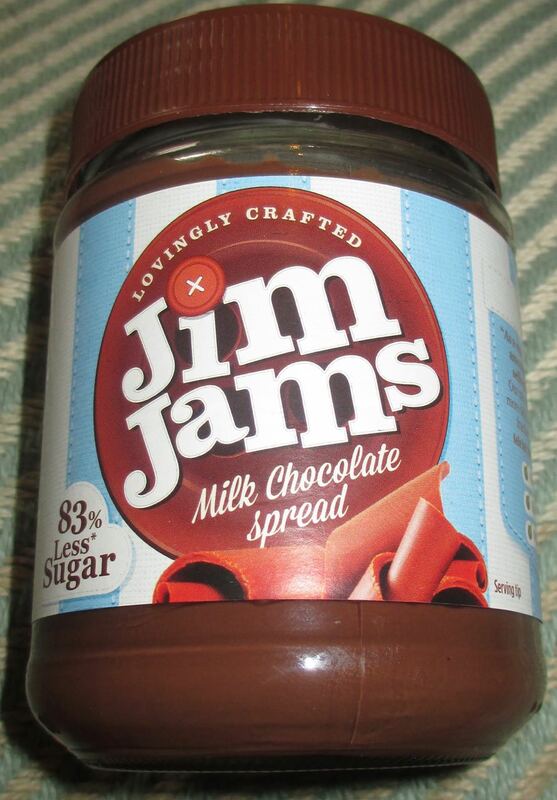 JimJams chocolate spread was created by a mom who had noticed the high sugar content of chocolate spreads and she wanted something that tasted good but had less sugar for her kids. 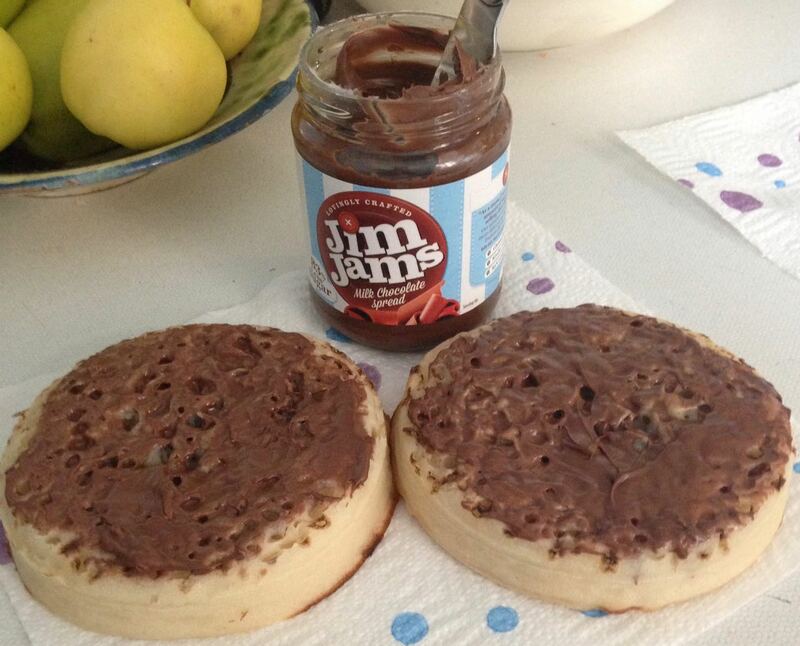 We got sent a jar to try out. The spread is in a pretty striped jar. When I was a kid I used to call pyjamas “jimjams” and as the jar looks like it's wearing striped blue pyjama print I'm starting to think I'm not the only one who did or does. The spread is fairly thick and spread easily on my crumpet, they were the giant crumpets, and only one of them as mine - honest! The taste was good, the flavour had lots of cocoa flavour, but still came across as sweet. I liked the chocolate taste, it was quite clean on the palette, the chocolate flavour didn't linger. This made it feel a little more grown up somehow and it grew on me the more I ate. So this chocolate spread is made with Maltitol. After a quick Google I found Maltitol has half the calories but is still almost as sweet as regular sugar. It is kind on teeth too, which is always important. I not going to pretend to know that much about the science of sweeteners, but I do know about taste and I throughly enjoyed this JimJams spread. Having less calories is certainly a bonus.